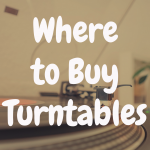 You are here: Home / Turntable Reviews / What Portable Record Players Sound the Best? What Portable Record Players Sound the Best? 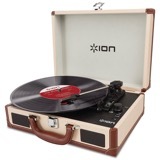 In previous articles, we’ve talked about portable record players. 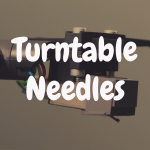 They’re the gold standard for those looking for an affordable, on-the-go alternative to the traditional, stationary turntable setup. 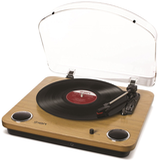 Brand names like Crosley and Victrola bring a vintage sensibility to the genre. It’s a winning equation for many modern record player owners who desire a turntable that is more stylish accessory to their lifestyle than workmanlike sound engine. Now as stylish and compact portable record players may be, they often sacrifice in the department audio fidelity. How so? Well, in short, portable players do not sound great. Or at least they do not sound like vinyl records can sound on a more expensive, full-featured turntable. Every part of the record listening experience matters in terms of overall quality, from belt drive to stylus needles to receiver quality to speaker setup. Portable players often try to fit all of this in one carry-along package, exchanging sound quality for convenience. 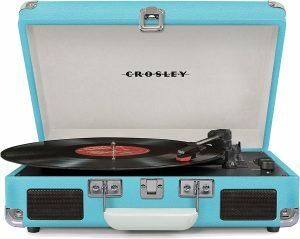 When we think of a portable record player of any era, the most likely candidate is the suitcase record player. This genre of player, most recently popularized by brands like Crosley, has actually been around nearly a century, dating back to the earliest days of vinyl turntables. 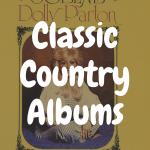 The style reached its peak around the middle of the 20th century, and has recently enjoyed a comeback for a generation of listeners into all things vintage. But portable record players come in all shapes and (smaller) sizes. Other portable record players have appeared throughout recent history, and many vintage finds can still be found if you’re willing to look in the right places. Portability, then, is a relative term. Can you pick it up and carry it without too much difficulty? If so, you can probably call it portable. The thing that matters most about any record player is that you can play records on it. And sound is certainly important. 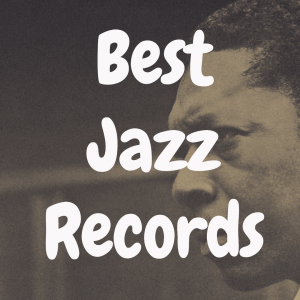 So what are the best record players to buy in the “best-sounding portable” category? Well, let’s break this down now. 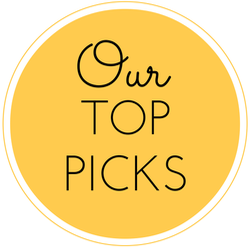 But first, please take a quick moment to view some of the best-selling record players on Amazon, and then see how well they stack up to the record players we will discuss in-depth today. The belt drive suitcase player from 1byone is a prime example of style and substance. It has the vintage suitcase look, coming in stylish ‘60s style turquoise or timeless standard black. It plays 33s, 45s, and 78s with ease. It has built-in stereo speakers for quality portable sound, but also features a line-in jack as well. The biggest feature is in the name. Belt drives were once the only way a turntable could operate. Compared to today’s electronic versions, belt drives are analog – as in, mechanical features that are entirely machine driven, without the aid of electronic programming. The idea behind keeping such features into the modern age is that they faithfully reproduce sound much closer to the way it was originally recorded. Much of the warmth of vinyl sound that makes the format still viable today comes from the belt drive, which is quieter and cuts down on internal static. Theoretically, this makes for a cleaner, more vibrant sound. Another belt-driven model, the AT-LP60 by Audio Technica drives the sound capability up a notch by adding another feature: a switchable phono preamp. This means you can connect this turntable to pretty much anything – computers, receivers, powered speakers, etc. This is fantastic news for DJs, but it’s also great news for you. Audio Technica is a brand known and used by DJs, and you can bet where the disc jockeys go, there’s bound to be audio quality. That’s another great way to find the best quality turntables in terms of sound –- follow the professionals. Who is buying the model? Where are they using it? If everyone from David Guetta to your uncle’s wedding DJ is using a certain model, that means you should probably use it too. Of course price matters, and that’s where Audio Technica shines. They provide solid quality at a reduced price. This was my very first turntable, and I think it’s a great jumping in point for any beginner. It’s not necessarily the most “portable” of record players—meaning, it doesn’t pack into its own built-in suitcase carrier. 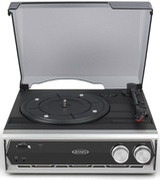 But it’s a relatively lightweight turntable with an overall small footprint. And, at about $99, I think it’s certainly worth being on this list because it can be portable and, for the money, does sound good. You can read our review of the Audio-Technica AT-LP60 right here. Sometimes in life, you’re a little broke. As in, very little money. As in, can’t buy expensive electronics. 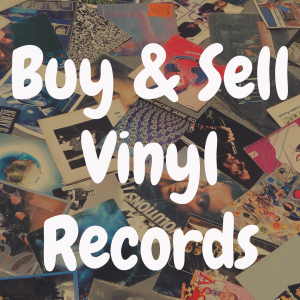 If you’re one of those simultaneously fortunate and unfortunate people who develop a vinyl habit during this time, you’re looking for a cheaper player. Something you can take with you as you couch surf around town. Chances are, you’re not expecting quality. You just want something that works. The Jensen players have become an extremely popular item for those looking at cheap and serviceable. The JTA-222 is probably the best example of this line, providing no-frills capability with decent, albeit built-in speaker sound and a bit of generic, old world stylish flare. Some are a bit hot and cold on the efficacy of this player. Where is it made? How reliable are its parts? 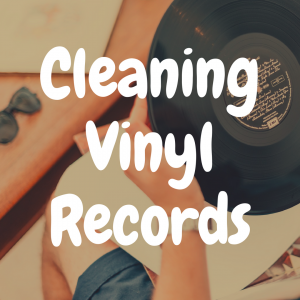 Will it ruin all of your records? No one is really quite sure. All anyone knows is that it’s quite affordable. So why include it in a best-of-sound list? Well, because it’s cheap. Not everyone has the time or money to sit down and lay out their expensive living room sound setup. If turntable makers and sellers want to bring more and more people back to the world of vinyl, they have to cater to a world that has moved on, and is on the move. Players like the JTA are best sellers because of their price and accessibility. They bring people in. And once people are in, then they’re free to sit down and figure out exactly how this whole vinyl thing works. The ones who are in it for the long haul will gravitate toward better sound. Generics like Jensen provide a gateway. You know those beat-up old turntables you find in record shops that can be used to preview records before you buy them? Yeah, didn’t think so. Vinyl records are a visual buy as much as an audio one. It’s the artwork that attracts. Most people don’t think of listening to records before they buy like they would with an mp3 sample. Those moldy loner headphones the store uses aren’t very attractive either. The Numark PT-01USB is meant to intervene on your behalf. A more advanced version of the discontinued Touring PT-01 model, this one was made with the same purpose in mind: to give you something you can carry into the record store with you. Held inside a no-frills carrying case, the PT-01 is sleek and powerful for its size, and of course comes with the all-important USB connectivity, perfect for plugging and playing anywhere with your electronic devices. But wherever you go, just remember to bring your own headphones. Style is in the name. The Groove from Vinyl Styl is a great-looking suitcase turntable that’s easy to take on the go. 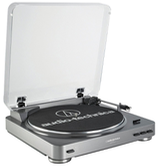 It has solid sound for the price, which, as we have seen, is about as much as you can ask from any portable turntable. In fact, there’s nothing incredibly special about the Groove, which is something to remember when you’re about to pull the trigger on a portable turntable. Whatever model you land on, you’re going to get around the same amount of sound quality. That is, decent, but not great. Aesthetics are ever important in this process. And serviceability. How is this player going to fit into your life? Chances are, if you find that groove, the sound of it will be that much better. If you enjoyed this article, please “like” our brand new Devoted to Vinyl Facebook page. What’s the Best Portable Turntable? What’s the Best Record Player with Speakers?